Captain America star Hayley Atwell has urged teenagers receiving their exam results to remember that what they see on social media is not always real. The actress, who will next be seen in Disney’s Christopher Robin, said she would tell young people to see the bigger picture. She told the Press Association: “I would say that you are enough as you are and going out into the world is really scary and everything takes time. “You’re going into a world where there is such an emphasis and such a celebration of success and productivity and achievement and competition and everyone’s perfect version of themselves posted on Instagram, and I would say that all of that is not what life is about, we know that. Former X Factor winner Matt Cardle, who is currently starring in the West End production of Strictly Ballroom The Musical, also told children to remember that there is more than one way to succeed. He said: “Look at Alan Sugar, look at a lot of successful people, go through the list of high school dropouts that didn’t even finish school and have gone on to do the most amazing things – like Robert De Niro. 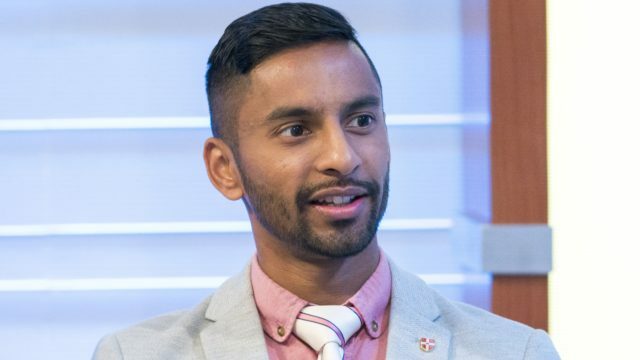 Author and maths teacher Bobby Seagull, who became a viral sensation as a contestant on University Challenge, said: “It’s easy to go on social media and compare yourself to friends and others and not feel great about yourself, so try to avoid doing that if possible. Game Of Thrones star Jonathan Pryce, who played the High Sparrow in the series, said: “If it’s any encouragement, I had four O-levels, and eventually I got another A-level. “Results are great, it means you done the work and put the time in. But as long as you had a good learning experience in school, that’s the most valid thing. “Sadly, because we’re so results-orientated in schools, things like art and drama and the humanities are missing from the syllabus.